Lilla and Papa enjoy spending magical times in Lilla’s sunflower patch. Before Papa leaves for a trip that will take him far away from home for a long time, Lilla gives him a sunflower seed. To remember me, Papa,” Lilla whispers. Seasons pass, and Lilla’s mood falls like autumn leaves. Finally, news comes that her papa is coming home! The following summer, to her surprise, she receives letters from families with photos of their loved ones pictured with sunflowers. She learns that her gift to her father brightened the dark days for many people, and that her one small seed continued spreading sunshine across the country. Colleen Rowan Kosinki’s lyrical style and whimsical artwork bring this story of love to life. 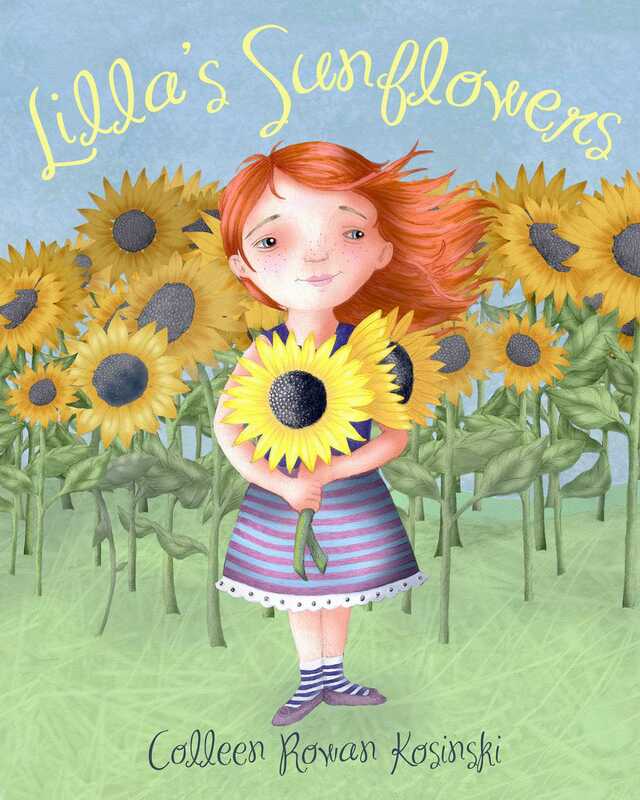 Lilla’s Sunflowers will resonate not only with military families but also with any child missing a loved one. This is a wonderful gift for holidays celebrating our country’s military heroes as well as a quiet story for bedtime read-alouds. For kids aged 3 to 6, this is a must-have for military families or for families where one parent does a lot of traveling and is away from the home for extended periods of time. It also serves as a charming story about sharing what you have and the benefits that can reap.